This fast & fun quilt has a delightful surprise. 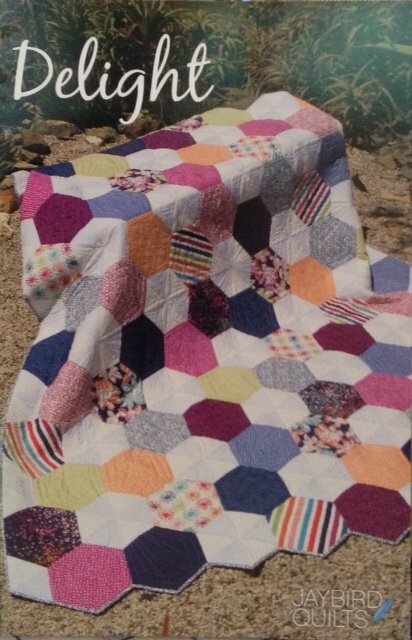 Big beautiful whole hexies & pieced hexies come together easily with no Y seams. Use 10" squares & 2 small prints or solids for the background fabrics. Directions for baby, lap, twin, or queen sizes. Designed by Jaybird Quilts.